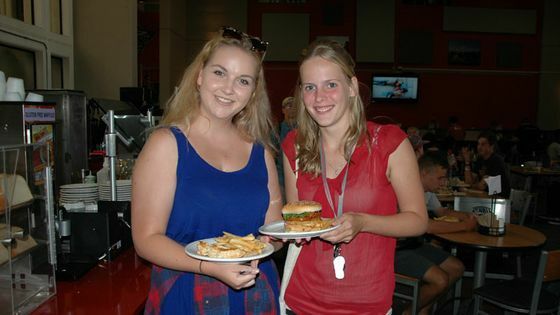 The ‘round-the-clock service at The University of New Mexico’s largest dining facility started last fall. Since then, students no longer have to go off-campus to get their late night dinner or coffee fix. "I’m a film and digital media major and sometimes I don’t get done with class until seven o’clock,” said Shantal Begay, a freshman and resident at UNM. “I feel safer staying on campus, rather than going out. La Posada is in the middle of campus and there is usually somebody out." Timothy Backes, associate director of Business Operations, said the changes were made after students and parents provided input. Students at The University of New Mexico can find a variety of meal options at La Posada. Backes and his staff are working hard to make the dining hall an extension of the student’s home-life on campus all with a will toward student success and strengthening the UNM community as a whole. Additional changes include a 24/7, made-to-order late-night menu from Grillnation, a brand-name pizza establishment and a branded coffee shop in the central atrium. “All the students are very pleased with it. They have a place to go and a place to eat. We have a varied menu at night and everything is cooked to order. There is no reason not to stay on campus and stay safe,” said Backes. La Posada now also features two big screen TV’s for students to watch Monday Night Football or Saturday morning cartoons during breakfast. Backes and his team also employ web connectivity and a layout in parts of the dining hall designed for studying in groups or alone, allowing students who want to snack and study without leaving campus to do just that. 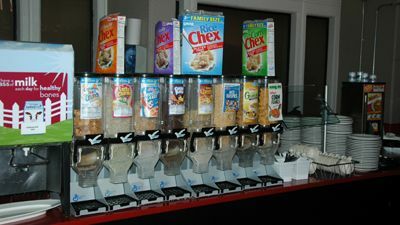 The cold cereal station is part of the Breakfast Bar at La Posada. Students can also catch a ride with other students who volunteer to transport students anywhere on campus in golf carts. This added safety measure means no student will have to walk alone on campus at night. 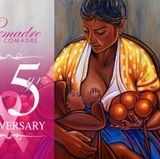 La Posada feeds between 2,500 and 3,500 students daily and accepts dining dollars from students who have meal plans. However prices are affordable for students without meal plans, too. Breakfast costs $6.98, while lunch and dinner each cost $9.39. For more information including dining plans vendors and more, visit visit lobocard.unm.edu.